Crisalix enables Dr Snijman and you, the patient, to answer the common question “how might I look after the procedure?” Crisalix has developed a unique solution for creating a simulation of the patient’s body in 3D from 2D images. We are proud to announce that Dr Chris Snijman is one of the first cosmetic surgeons in South Africa to offer Crisalix 3D imaging technology as part of our standard patient consultation process. Dr Chris Snijman is a fully qualified Plastic Surgeon and member of both the APRSSA (Association of Plastic and Reconstructive Surgeons of South Africa) and ISAPS (International Society of Aesthetic Plastic Surgeons). Chris, as you will soon call him, holds the esteemed title of President of APRSSA, a position voted for by his surgical peers. 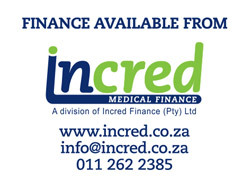 Dr Chris Snijman consults and operates from Morningside Medi-clinic, Johannesburg and has been exclusively based in the hospital since 2008. The practice runs on state of the art equipment and continues to encourage patient education.